Sam Houston State’s Entrepreneurship Program invites Jim McIngvale as the first Entrepreneur-in-Residence to share his story with the campus community. The event is free and open to the public. 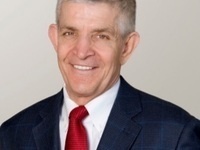 Also known as Mattress Mack, Jim McIngvale is a Houston businessman and philanthropist best known for owning and operating the Gallery Furniture retail chain. With sales of $150 million per year, Mack has turned an ordinary company into an all-American success story and also earned a reputation as a generous civic contributor and hometown hero. The SHSU Entrepreneurship Program promotes entrepreneurship, free enterprise and a capitalist market economy. Providing opportunities for students and faculty to hear inspiring stories of business success, the program invites Entrepreneurs-in-Residence to speak to the campus community.